Far Cry Primal is ranked in the 70th percentile of games scored on OpenCritic. I've had an enormous amount of fun playing this, obsessively clearing the map of icons, occasionally relenting and accepting I need to do one of the main quest threads to progress, riding around on the backs of mammoths, diving off cliffs into pools hundreds of feet below, wrestling crocodiles, being dazzled by sunsets, escaping labyrinthine caves, and using my "hunters vision" to track enormous beasts. It's undeniably great fun, and unquestionably a huge achievement. Just a very, very recognisable one, for all the best and worst reasons. I went in not really wanting to play Far Cry Primal, or at the very least, not enjoying it. However, I was pleased that Ubisoft Montreal didn't simply copy their formula from their other games, and paste it into a Stone Age setting. A lot of the mechanics are updated and refined, and frankly, just make a whole lot more sense given the time period. Far Cry Primal takes the series back. Way, way back. Is it enough to revive a stale concept? "Far Cry: Primal" won't re-wire your expectations of what a game can be but it has just enough energy to pleasurably distract one over the length of its journey. Far Cry Primal is a fantastic standalone title that also has enough historical research meat to keep history nerds happy. Far Cry Primal is the Stone Age survival game we never expected from the Triple A industry, complete with a lush prehistoric world you can explore for hours. Far Cry: Primal could so easily have been a weak spin-off or a throwaway blast like Far Cry 3: Blood Dragon, and it owes too much to the Far Cry formula to be described as a true original. 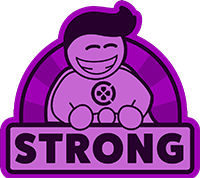 Yet it builds a spectacular world, fills it with dynamic characters and gives you a role that feels meaningful and potent. "Primal" tries something new within the "Far Cry" series, and nails nearly everything it sets out to do. Taking away guns and adding animals is a breath of fresh air not just within the series, but within video games in general. Becoming the king of the jungle is a wild ride. From missions involving finding totems, to investigating why a river is causing sickness, investigating dark caverns, or climbing a great cliff for rare feathers, there is plenty of variation between all the killings. If the idea and theme don't resonate with players and pull them in, I'd probably rate this game a point or two lower then my personal score as I feel it's rather crucial to get the most enjoyment out of this title. That said, I absolutely loved my time with Primal though and to see a game set in this time period, with no guns, and with high production values just seems completely experimental and bold. I can't help but commend Ubisoft in attempting this. Far Cry Primal might be the most retrograde addition to a franchise known for vast open spaces and guns galore, but it's also one of the most refined entries as well. It's not something anyone asked for, but it's welcome all the same. More than worth a look-in. All in all, Far Cry Primal is another great game from this series that both new and old players will enjoy as they enter the Mesolithic period. Far Cry: Primal offers a beautifully laid out and vast land crying to be explored. It has strong moments in its empty wilderness but is missing that final climax that keeps it from feeling like a complete, genre-defining experience. Far Cry Primal bietet das bisher beste Setting für die Serie, verliert sich aber ein wenig im schlechten Storytelling und der recycelten Umgebung aus Far Cry 4. Das crafting und Ressourcen sammeln hat noch nie so viel Spaß und vor allem Sinn gemacht, wie in Primal. Fans von Tiere zähmen und Sachen anzünden, können hier ohne Bedenken zugreifen. But in the end, Far Cry Primal is a healthy, well-designed, immensely immersive experiment within an established franchise. Bottom line is we need more developers to take such risks. The result is indeed a fantastic experience due to the blending of multiple genres - survival, adventure, action, first-person, strategy, etc. Hey, sometimes you need to take it back to the old-school and remember what survival is all about – and that's just what Primal does. Despite an underwhelming story and a few hiccups here and there, the stunning world of Oros makes Far Cry Primal an experience worth going through. While this is a different direction for the Far Cry series, Far Cry Primal is an excellent entry into the franchise. While it might not be the best introduction to the franchise, it's certainly one the fans of Far Cry should definitely check out and those interested in the series will find something incredibly unique, action-packed, and a lot of fun. Far Cry Primal is a breath of fresh air when it comes to first person action games. It simplifies good old Far Cry formula but still delivers robust gameplay enriched with multitude of companions and weapon upgrades. If you like bows and spears it's a must. The only let down is heavy use of mystics and not relying on down to earth believable story. With a wealth of new ideas, including taming and controlling animals, a non-linear story and an upgradable village hub, Far Cry Primal isn't just Far Cry 4 with cavemen. Much of the gameplay will feel familiar, but the additions are just about enough to keep it fresh. While other venerable franchises like Call of Duty are afraid to challenge themselves and make only halfhearted gestures toward invention, Primal plots a course through uncharted waters with a battle-tested vessel and actually commits to making its new ideas more than vapid window dressing. Far Cry Primal takes the franchise cleverly into the Stone Age era with a minor and important survival influence. Far Cry Primal delivers a fascinating open world to explore. Far Cry Primal is a bitter world where "survival of the fittest" is the mantra, but the game gives me plenty of ways to become the one who survives. The primitive weapons are great, the authentic sounding language really pulls me in, and the challenge of sustaining this wicked land keeps me going. It's a vast departure from previous Far Cry games, but that risk paid off in a big way as each second spent in this world is a ton of fun. I hope more games give me the opportunity to go back to the primitive age, as it seems a lot more fun than just fighting the same war in modern times over and over again. Although it's light on story and can get a bit tedious due to an emphasis on hunting and crafting, there's a lot to like about Far Cry: Primal. A beautiful game through and through, it's as immersive as it is nice-looking, and presents a rich world that is easy to get lost in. Far Cry Primal is a bit of a surprise, not just being it happened in the first place, but that it works so well. It's a beautiful game set in an interesting time, place, and involving interesting characters. Weapons feel great, the gameplay itself is fantastic, and the new mechanics introduced work extremely well for the game itself. While it doesn't break any ground in the narrative department, it tells a decent story of family, legacy, and revenge. Far Cry Primal is an unexpected but wholly welcome entry to the series, and serves as an example of something you didn't see coming, but can't see yourself without. A change of scenery does the Far Cry shooter series good. Primal's caveman drama, beast-taming, and prehistoric hunting are highly satisfying, even though we've tread this ground before. Can we get dinosaurs next, please? While the time period itself may be a far cry from the rest of the series, the game still manages to feel like a natural progression with some core gameplay elements intact, while also adding plenty of content that makes Far Cry Primal feel likes it own distinct experience. Far Cry: Primal offers a beautifully laid out and vast land crying to be explored. It has strong moments in its empty wilderness but is missing that "X Factor" that keeps it from feeling like a complete, genre defining experience. Far Cry Primal is able to stand out from the pack, throwing in enough new and appealing additions along the way to warrant a full-game release. 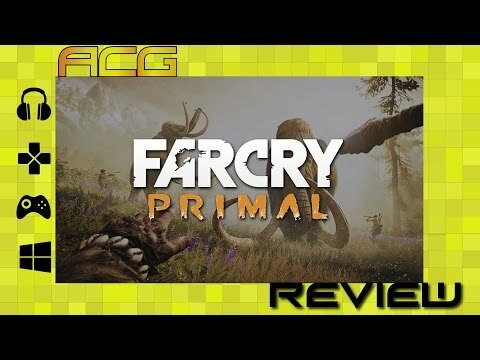 As somebody who was largely disappointed in how similar Far Cry 4 was to its predecessor, I found Primal to be a breath of fresh air, adding in it's own new features while still keeping the core mechanics that we've grown to love from the series. It would be refreshing if Ubisoft could continue to do more with the series within upcoming installments, possible toying with more settings and time periods to prevent future entries from feeling monotonously familiar. As you may have gathered, it is all thoroughly enjoyable. The newest installment in the Far Cry franchise runs into a few hiccups, most namely its tiring combat system. The new taming/companion system is well executed and Ubisoft has crafted a respectable amount of detail with their sculpture of 10,000 BCE. While it sometimes feels like just more Far Cry, that's not necessarily a bad thing. Taking away guns, cars and explosions sounds like a huge risk on paper, especially for a franchise that has built itself on those properties. Minor issues aside, I do think this is the best Far Cry game. Far Cry 4 did a lot to refine the formula and make it as enjoyable as possible. Stripping back the game to the fundamentals, limiting the resources and focusing the action does wonders for a franchise that was in danger of becoming too sprawling. Far Cry Primal is without a doubt a step in the new direction for the franchise, telling a violent, but captivating story about the battle of the Wenja and Udam tribes. Despite some repetitive objectives, missions are action-packed and enjoyable, and taming beasts is easily my favourite feature found in Primal. Far Cry Primal is an innovative example of what developers can do to refresh a series. It worked surprisingly well by setting Far Cry all the way back to the Stone Age. It's brutal, relentless and wonderful to hear the thud of a well thrown spear into an enemies's chest. The decision to take ​Far Cry ​to the Stone Age is a strong one. It feels like ​Far Cry Primal​ is a refresh of the series that we didn't know it needed. Basic combat makes you think more about your approach, while the addition of animals makes you feel powerful. 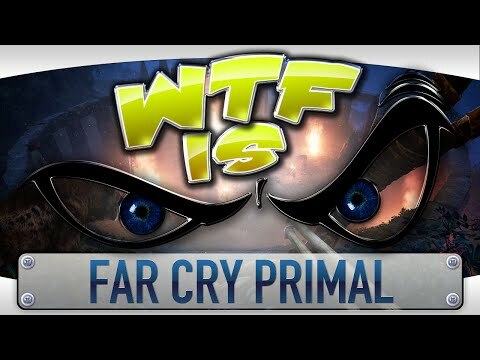 While my experience with Far Cry Primal was enjoyable, I don't want to beat around the bush so I want to clarify that Primal strongly felt like a Stone Age makeover of Far Cry 4 and that's really the worst thing about the game. 'Far Cry: Primal' doesn't reinvent the wheel, but it does have addictive caveman gameplay and a fascinating sandbox to play around in. It does feel like a 'Far Cry', but the setting makes it something new and special. Just like 'Blood Dragon', I find these off-year or "side" releases in the series to be the most fun, although the series' core formula is still captivating. Ubisoft's Far Cry Primal takes players back to the Stone Age, but the gameplay and narrative feel far from prehistoric in this primitive, open-world game. A well-polished entry into a genre quickly increasing in popularity, Far Cry Primal is one of the best games of 2016 so far. With enough beauty to keep you exploring and enough danger to make you nervous whilst doing it, Primal implores you to play on. Far Cry Primal presents an interesting take on the series' formula by going way, way back in time. The change in environment helps freshen up familiar mechanics that can get stale in a more modern setting while also making the game seem far more brutal and visceral. Folks who feel queasy at the sight of bloody animals and people might not be able to stomach Primal's prehisotric immersion. Gamers looking for a different open-world experience, however, will likely appreciate the change in setting. Far Cry Primal does enough to shake off the feeling that it's just Far Cry 4 with a different coat on. Exploration is the name of the game and the story kind of takes a back seat. Obviously the game follows the Ubisoft open-world playbook to the page and doesn't skip a beat, but it's actually a refreshing palette cleanser to do away with the futuristic shooters that have bombarded the market in recent years. For the series, this is a confident step toward something much more disciplined and understatedly profound. Prehistoric beast petting simulator, with extras. Far Cry Primal is a good video game that's part of an overexposed series, and it will disappoint all those who want to see something unique coming from Ubisoft, although it has plenty of great moments to offer. Whether by accident, design or an emotive response to criticism of Far Cry 4, Ubisoft, via Primal, has given the franchise a huge new shot of vitality and freshness. Far Cry Primal is far from perfect but thanks to its historical setting it is a breath of fresh air for the franchise. Far Cry Primal, however, falls flat in some aspects. The story is remarkably simple and the characters aren't that engaging. Though credit to the makers in developing a unique culture and language for your protagonist. The game's lacking variety means there isn't much of a learning curve after the initial few hours your style may become set and this sets you up for the entire game. And there isn't ever much of a need to change your style afterwards. There is still plenty to like about Far Cry Primal, especially if you're a fan of the series. Far Cry Primal takes players to an era rarely visited in modern gaming and does so convincingly. Ubisoft has taken us back in Far Cry: Primal to a time period that is new and fresh to the FPS genre. Sadly, it has a story that is forgettable and uses the same formula we have come to expect from every Far Cry game. However, some fans will enjoy some of the changes to the fun gameplay we know and love. Far Cry Primal does little to reinvent the series established formula, sometimes taking it backwards more than its new time period may suggest. It's filled to the brim with the familiar and fun Far Cry trappings, if that's what you want out a game. It's an enjoyable, gratuitously violent romp in the past. If you're looking for some sort of narrative impetus tying it together though, you're bound to be a little disappointed. All in all, if you're even remotely interested in the Far Cry games then you'll be right at home with Far Cry Primal, but if you're looking for a completely fresh experience you're going to be sorely disappointed. Graphically the game could be a lot better when compared against other titles such as The Witcher 3 or Rise of the Tomb Raider but the prehistoric setting remains a fresh and exciting addition that I find myself excited to explore further. On the current basis I'd have to give it 7/10. In terms of gameplay though? Far Cry Primal is a shining example of how a game series should advance, with meaningful and broad changes to the status quo while retaining the characteristics of the core game. A better backstory for Takkar, the Wenja, or even a stronger interwoven narrative may have helped, but it's still a lot of fun to ride a saber tooth tiger and launch spears at cannibalistic primitives for no other reason than we can. Ubisoft promised a new feeling with Far Cry Primal, and in some sense they weren't completely wrong. Some mechanics of the game do feel slightly "copy and paste" from its earlier games – Far Cry 3 and Far Cry 4, but it does bring its own taste and twists that puts this game in its own category. Ubisoft most definitely rolled the dice when it came to Far Cry Primal. Stripping down the series to its raw base risked alienating their entire audience. Fortunately for them, the shift seems to have gone off without a hitch. However, the lack of mission variety and combat tools hold the game back from being something truly groundbreaking. Hopefully they intend to continue to transplant the franchise into other settings, because if Primal is any indication, they are at least on the right track. While playing leaves players at the mercy of its time period due to the lack of firearms and weapons we've come to know in recent installments, instead players are treated to a leaner, and thrilling take on the series that works perfectly in its Stone Age setting. In any case, Far Cry Primal proves that looking back to the past can reveal an experience that's crazy and brutally fun. Far Cry Primal shows us that gaming still has plenty of interesting worlds to take us to. Its Stone Age setting really is its best quality. Sadly, the series' formula is beginning to feel familiar and, frankly, a little dull. The first-person combat is tedious, and I think I've cleared out enough enemy camps for one lifetime. Far Cry Primal seeks to put you in the shoes, or rather, hunting furs of a primitive human trying to survive and secure a place for his people, but it seems to get in its own way at the worst times. Sadly there are no dinosaurs, but if you love Far Cry, you'll love this game anyway. Taming bears is a blast, but sometimes playing beast master is still a day job. Far Cry Primal takes the franchise back thousands of years to the Stone Age and a tale of a tribe decimated by their enemies. While this tale had promise, the lack of a central villain means that the story also lacks focus and is relegated to the sidelines while the side missions take pride of place. Away from the story, Primal offers hours of other activities that usually involve the game's satisfying melee combat and a beast from the game's rather fun taming mechanic. Players are never left with nothing to do, but it's for how long players will persist before the game starts to feel a bit too repetitive. This doesn't mean that it is a bad game by any means, especially when offering 40-50 hours of gameplay before reaching 100% completion. It just means that Far Cry veterans will have seen this all before but under a different skin. I suspect the next major Far Cry instalment will return to the modern day, but I'd love to see Ubisoft continue experimenting with the franchise from time to time. Primal doesn't quite discover the secret to fire, but it's an entertaining blast to the very distant past. Far Cry Primal really wants you to know that there are tons of things you can do in its prehistoric, open world. Unfortunately, you may not want to do any of them. Far Cry Primal is a great spin-off for the Far Cry franchise, but it doesn't do anything drastically new. Despite some new additions – and a brand new setting in a largely untapped historical era – if you dig under the surface of Far Cry Primal, you'll find a remarkably well preserved edition of Far Cry 4 entombed within. As a result, if you were hoping for more of a revolution to the formula, or didn't particularly enjoy the hunting mechanics in past games, then you're best off steering clear of this title. Of course, if you're merely looking to jump back into the familiar Far Cry gameplay loop in a captivating open world, then there's still plenty of fun to be had. And at the end of the day, who on Earth doesn't want to ride around on a bear? Despite nothing new or innovative, since this basically recycles past titles and just covers everything with a wild boar's hide, [i]Far Cry Primal/i] can be very entertaining, and the repetitive/simplistic task of crafting, upgrading, collecting, and capturing, can be very addictive and even cathartic. To put it another way, this is just a casual experience, but a very good one at that. It's all about having fun and getting engulfed in the magnificent primeval landscape while at it… as long as you can stomach the lack of any gameplay depth, the zero challenge, the generic, placeholder plot, the current price… and the need to use the very problematic Uplay client. It shapes and contours prehistory to fit every aspect of itself—which makes it much more than a reskinned Far Cry 4 (2014), even if it often feels like one. Compared to recent Far Cry games, Primal is neither a relief nor a disappointment. It's really good at being violent open-world base-conquering simulator and it has a smattering of neat toys. Far Cry Primal is another One Of Those with a few wild tangents stretching and searching for new limitations. It's a predictable, albeit competently constructed, status quo machine humming along through another entry. The Mesolithic setting and the unique opportunity to sample life 10,000 BCE combined with Far Cry’s most iconic features makes it a must buy for those yet to sample the Far Cry franchise but for veteran’s of Ubisoft’s chaotic take on survival, it’s very much more of the same. However, it also manages to let players down, and for some that'll be in a big way. The flimsy combat mechanics, inconsistencies in gameplay graphics, and the general misunderstanding or misrepresentation of the overall concept leaves Ubisoft's latest offering with slightly more questions than answers. This one is worth your time if you're simply looking for a unique take on the classic sandbox genre. Otherwise, it might not be a bad idea to lay low and wait for a price drop in the future. All in all, Far Cry Primal is a great entry in the series when it comes down to gameplay alone. The refocus was necessary to rein in the series, introducing a renewed sense of helplessness with more thoughtful engagement. It would be difficult to call Far Cry Primal a bad game, but it would be just as hard to recommend it with anything other than a thousand and one caveats attached. While it presents itself as something new, different and vital, the truth behind this absurdly shallow veneer is that you've played this game before − at least if you've touched a Far Cry game since its third instalment.The amount of traction you get from that fact will vary, just as the enjoyment of Ubisoft's other big series, Assassin's Creed, wavers from person to person. A victim of Ubisoft's mass homogenisation techniques it might be, but Far Cry Primal is still fun, solid and the kind of thing you can lose hours to, given half a chance. Problem is, that half-chance is getting harder to come by. Why give it that amount of the day when you've already given nearly exactly the same thing your time before? Far Cry Primal feels like a missed opportunity hampered by what we can only assume is it’s budget. Yearly releases are hurting good games. I don't know what the sales data looks like, so I can't speak to that claim from a financial perspective. I'm sure the backroom at Ubisoft has done the calculations and concluded that the number of consumers lost per year is offset by the amount of money made. A decent game, but nothing more. Far Cry Primal tries to differentiate itself from past Far Cry games with mixed success, managing some clever new tricks, but losing a lot of what made Far Cry feel special in the process. Far Cry Primal is more and yet less of the same Far Cry we've been playing for the past few years, minus a few fun systems. It's not worth the asking price, and demands more of your time than it deserves.